● Citrine – This crystal is said to bring financial good fortune. Place a large piece in the South East (furthest left) corner of your home. It’s also known as the Merchant’s stone because of its ability to bring wealth and prosperity to its owner. Keep a piece in your wallet or purse as well. 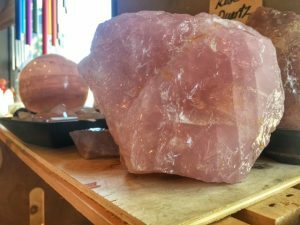 ● Rose Quartz – This a beautiful stone, with its tender blush pink color, is said to be the stone of unconditional love. It brings harmony to the relationships of everyone in the home. Place it in the South West(far right) corner of the home. 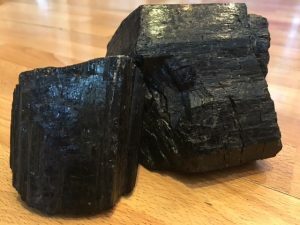 ● Black Tourmaline – This crystal is considered to be one of the most protective and grounding crystals that protects against all forms of negative energies. Place this crystal on the corners of your property or, inside, in the corners of your house. ● Amethyst – This violet crystal is said to be extremely powerful and protective. It’s said to aid in decision making, calm and dispel anger and anxiety and generally balance emotional highs and lows. It’s also known as an excellent sleep aid that helps ward off bad dreams. 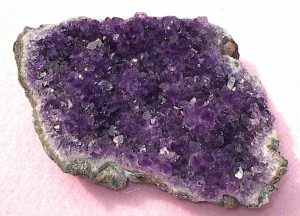 Place amethyst under your pillow for a good night’s sleep. 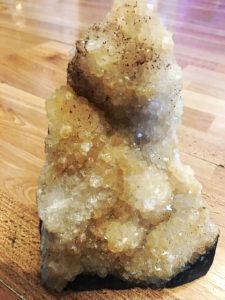 The overall rule for using crystals in your home is really that there are no rules! They add beauty and positive vibes to your home. So if you love them then they’re right for you.